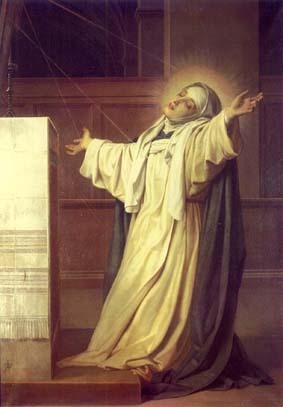 COMMENT: Today is the feast of St Catherine of Siena, though it is not celebrated as it is a Sunday. Catherine is one of the greatest saints in the Church – she was a phenomenon in her own time and is a Doctor of the Church and one of the patron saints of Europe. She is also surely one of the great women of history.